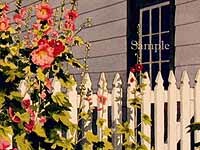 Garden Gate is one of two of Diane's prints we have chosen that feature hollyhocks by a picket fence. 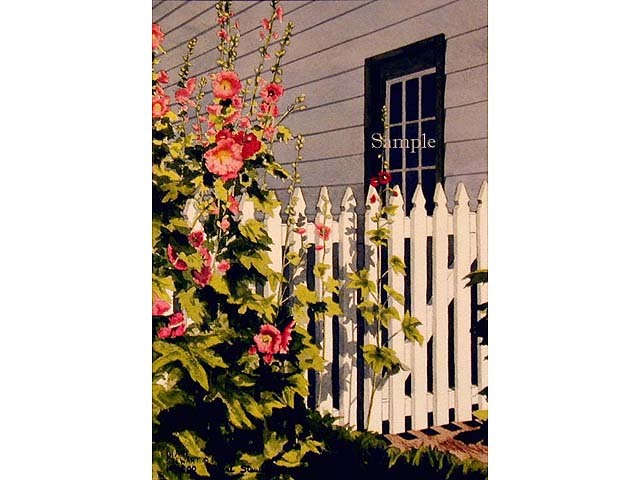 What a wonderful contrast between the crisp white fencing and the bright and lively plants! It's perfect for a hall or bedroom, especially when paired with Garden Path.